FIGURE 4: Cellular memory of glucose starved cells. (A) Cells grown to log phase in YPD media were harvested and incubated in YP media lacking glucose for varied times. Following glucose withdrawal, cells were subjected to H2O2 stress and survival was assayed using spotting assays. 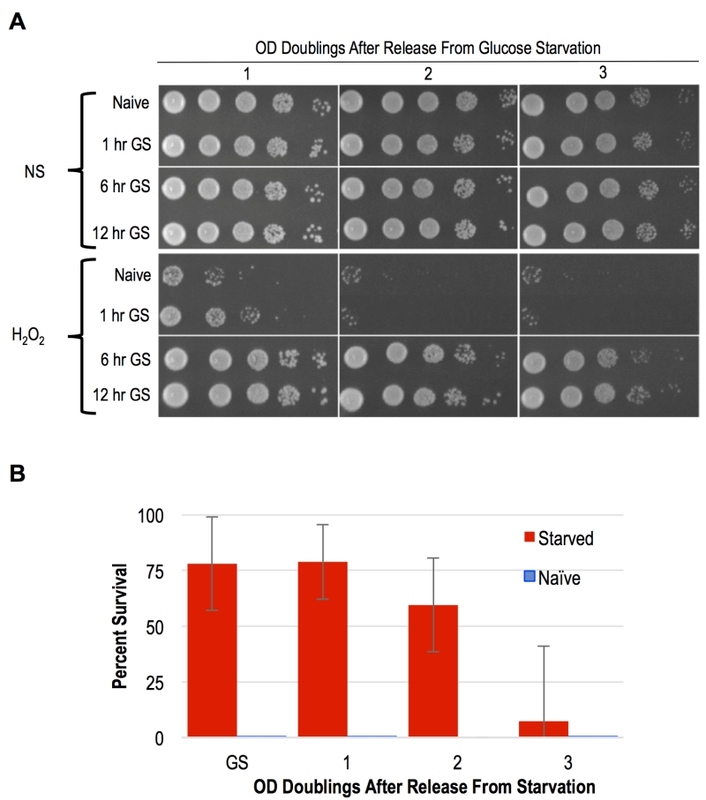 (B) Survival of cells released from glucose starvation and exposed to H2O2 was quantified. Error bars represent 1 standard error of the mean from 3 biological replicates.